If you’re visiting Nice with kids, you need to find places for them to run, play and to just be kids in between all the sightseeing. That’s why we’ve put together a list of the best parks in Nice, France. Well, what we think are the best parks anyway. These are in no particular order with the exception of my kids favorite park being listed at the top. 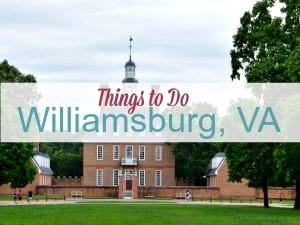 Even if you’re not visiting with kids, some of these parks are great to relax and have a picnic. Adults need a break too. Not sure what else to do in Nice? Don’t miss all my Nice recommendations. We’ve lived here for a year, after all. Crawl inside, on top or slide down the tail. Parks have age ranges to keep everyone safe. Look for signs near the play structures. Cool off in summer or watch your camera when it’s dry! Right in the heart of the city is our favorite park, Promenade du Paillon. My kiddos call it the “whale park” due to the large wooden whale-shaped play structure. The park starts at Place Masséna with two mirror fountains, one with mist and the other with water jets. K and Lucy have the time of their lives running through these fountains on a hot summer day. As you walk further to the north into the park, you’ll come to some lovely age specific play equipment. Just look at the wooden signs posted by each plates to see the ages, although it’s pretty obvious which structures are meant for young kids and which are meant for older children. The park has all sorts of wooden marine animals to entertain kids such as a huge whale and a sea turtle. They also have two octopuses with net swings, a pirate ship and a fort amongst several other fun structures. The whole length of the park is surrounded by vegetation from several different regions, making it a great place to relax or have a picnic even if you don’t have kids. It’s common to see teenagers sitting in a circle in the grass or older residents relaxing on a bench soaking up the sun. Getting there – This park is located right in the center of town, in fact, it divides the Old Town from the new. Since you will likely be staying around Old Town, you’ll see the park along the tramline. Most photographed view of Nice. Attention – There is not a castle on this hill overlooking Nice’s Old Town and the Port! The castle has been gone since 1706, but you can still see ruins of the former Chateau of Nice. Even though you won’t see an actual castle, it’s a great place to visit with breathtaking panoramic views over Nice and the Mediterranean Sea. The view of Nice from Castle Hill is actually one of the most photographed spots in the city! While on the hill, take time to visit the large grassy park which is great for a picnic while the kids run and play at the playgrounds. You’ll find a large climbing structure for older kids and a playground complete with slides and merry-go-round for little ones. Castle Hill also hosts an artificial waterfall where the mist will help you to cool off on a hot day. If you walk up from Place Rossetti in old town, stop by the old cemetery dating back to the early 1800’s where you can admire mausoleums and magnificent tombs. Getting there – My suggestion is to walk up from rue Rosetti in the center of Old Town then walk down on the beach side. There are also options to take the Tourist Train to the top or a lift on the ocean front. If you take the Tourist Train, you will be given 10 minutes on top of Castle Hill. This will allow time for pictures if you’re not interested in exploring the rest of the area. Looking toward the Port – you can just see the lighthouse at the end. Enjoy the outdoors with over 11 km (6 miles) of hiking trails as well as picnic benches to enjoy to an afternoon snack. You have spectacular views of the Port of Nice to the west, and Villefranche sur Mer to the east. Farther on, you can even see a bit of the Italian coastline. While you’re walking the trails, be sure to look out for the wild growing orchids! I advise walking along the Port or walking down the other way to visit Villefranche sur Mer. The path to Villefranche sur Mer includes a parcourse or fitness trail. You could even take the bus back from Villefranche if you don’t want to walk back up the trail. Getting there – Bus line 14 from Promenade des Arts located at the north end of Park Promenade du Paillon. We like to get off at Chemin du Fort which is 2 stops before Mont Boron. From this stop, walk to the north to find the fort and beautiful look out over Villefranche sur Mer. Afterwards head to the south side of Mount Boron. If you want, there are several trails that will lead you to the port of Nice or even into Villefranche sur Mer. Read more about an afternoon on Parc du Mont Boron. Cimiez is the ideal place to spend half a day when visiting Nice. You can let the children run and play in the olive groves, visit Roman ruins, the Archaeological Museum, Matisse Museum and the Monastery with its Italian-style garden. When you’re done exploring, have a picnic under the cover of the olive trees. Getting there – From the Lycée Masséna stop, which is northwest of the whale in Parc Promenade du Paillon, take bus line 17 to stop Monastère/ Cimiez. Read more about Cimiez and see our photo diary. Kinda hard to get a picture of the goats through the fences. Parc Castel des Deux Rois is located north-east of the Port of Nice and offers picture perfect views. The park is a lovely place to visit with many activities to keep children entertained. This natural park features a large grassy area decorated with palm and pine trees. The park includes a large playground with slides, climbing nets, swings, turnstiles and walking trails. There is also an enclosure that houses chickens and goats which my kids adored. I personally don’t see how you can adore a chicken, but they do. During the summer, there are water jets and water umbrellas the kids can play in to cool off during the heat of the day. For other seasons, the water area becomes a track for scooters, rollerblades and bicycles. A carousel is near the playground but there is a fee to ride. They also have picnic tables, a small cafe, public toilets and parking. 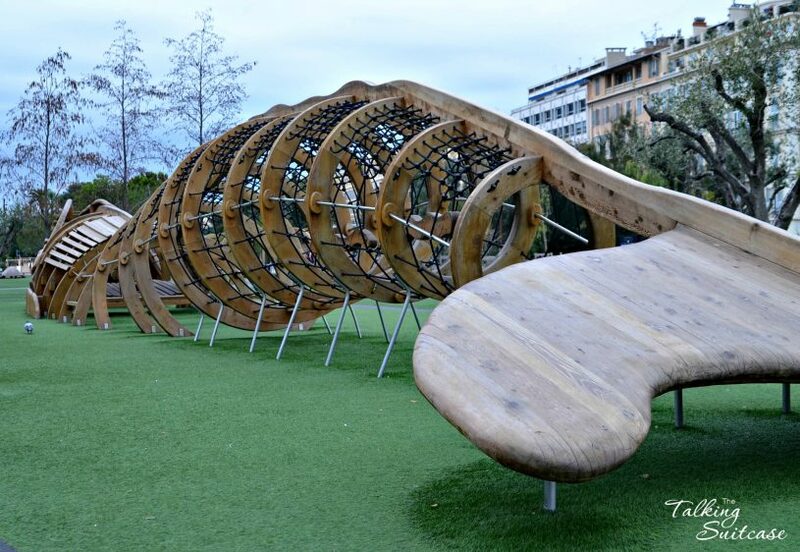 Note – Farther from the city center of Nice and with much of the playground equipment designed for younger children. If you are walking up to Parc Forestier du Mont-Born, this would be a great place to stop and let the kids play before continuing on your journey up Mont-Boron. Getting there – By bus: Line 14 from Promenade des Arts located at the north end of Park Promenade du Paillon and getting off at stop “Terra Amata”. Lucy in front of an old house on the walk up the hill. We made it to the top of the hill. This is a natural park where you can have a picnic on one of the many tables while your kids play in the olive groves or at the playground at the bottom of the park. There are several trails you can walk along and admire the massive eucalyptus trees, the beautiful flowers and native plant life all while birds serenade you from the treetops. Once you get to the top, stop at one of the benches to admire the beautiful Mediterranean Sea. Look to the west and you can see all the way to Antibes then to the east to see all of Nice. Note – If you are going to the Russian Orthodox Cathedral, it’s right around the corner from this park. Getting there – By bus: line 75 from in front of the Nice train station/ Gare SNCF. Getting off at Beau Site. This is a bit too far to walk unless you’re staying closer to the airport. Parc Vigier is located to the east of the Port of Nice. It’s a cute park with palm trees and beautiful views of the Port. My kids love bringing their scooters and riding on the meandering paths while I lay on a picnic blanket in the grass to enjoy the peace and quiet. There is also a smaller playground for younger children at one end. Must Do – When you are at this park, if you walk to the water and head east, away from the port, there is a walking trail along the coast called Trail Cap de Nice. It’s amazing how the coast line changes with gorgeous views over the Mediterranean sea! Note – This park is a great place to stop and relax if you are walking down from Parc Forestier du Mont Boron. Just be aware that it’s a smaller park, not really a destination in itself, unless you are staying nearby or visiting Mont Boron. Getting there – From Old Town, walk around the Port and continue along the coast. Yep, there is a small aquarium area too. Stop taking pictures of me. It’s hot in here! Parc Phoenix is a mixture of a botanical garden and miniature zoo. At the beginning of the park, you’ll find a lake with hundreds of birds such as black swans, ducks, and pelicans. They also have a musical fountain, a bamboo forest, picnic areas, birds of prey and many other animals such as ostrich, pelicans, macaws, lemurs, porcupines and tortoises to view as you walk the area. There is also a large playground. The greenhouse with an area of 75,000 sq ft and a height 82 ft, is one of the largest greenhouses in Europe. It’s divided into seven different tropical climates with over 2,500 different species of plants. There is also the Asian Art Museum within the park where you’ll find collections of Buddhist art. The museum also hosts visiting exhibitions of contemporary Asian creations. Note – The entrance fee is 3€ for adults and free for children. Getting there – By bus: From Garibaldi lines 9 and 10 and getting off at stop Arenas. Nice has more parks than I could possibly list here, so keep an eye out while exploring the city. These are just a few of our favorites and are all recommended by Lucy (8) and K (11). If you’ll only be in Nice for a short time with kids, make sure they at least visit Promenade du Paillon since it’s so close to the Old Town. You’ll immediately notice the difference between French (or really European parks) from American parks. My kiddos think the parks here in Europe are “way better” than those in the US. But I’ll let your kids decide for themselves…. Once you arrive in Nice, I suggest stopping by the tourism office to pick up the Family Guide. Many establishments have earned the “Famille Plus” label to help families discover the best of Nice and the surrounding area. 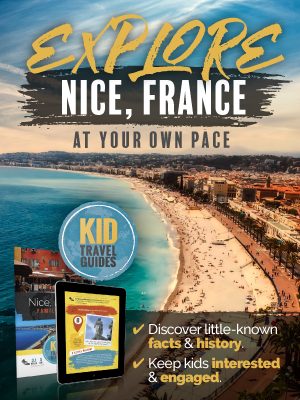 The guide will provide you with ideas for activities, restaurants, accommodations and more to assist families when visiting Nice. Need help getting around? We use Pocket Earth PRO Offline Maps for navigating during our travels. 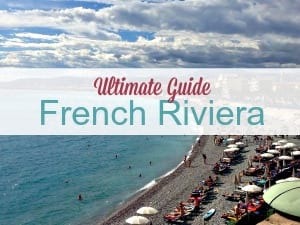 Do you have other favorites to add to my list of best parks in Nice, France? Let us know, so we can check them out too! Are you planning to visit Nice in February? 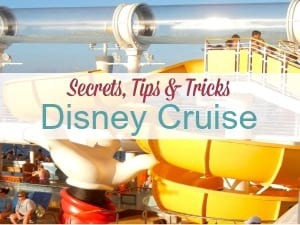 See my Tips & Tricks for Carnaval de Nice. I love the suggestions for Nice. Seems like there’s amazing parks at every turn. I’m jealous! These parks look wonderful! I think even my teenagers would enjoy spending time in any of these fantastic spaces. Ah! 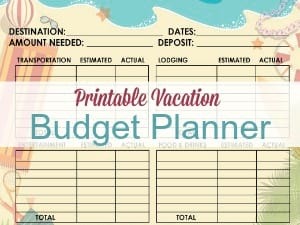 As the parent of a toddler in a travel-loving family, I am in love with this article! So useful. I want you to do one like it for every city out there!